Melrose is in the process of updating, improving, and developing exhibit spaces throughout the house museum and historic site. Our staff began work on the morning of January 21, 2013 by removing each book from the library and sorting it according to its age and ownership by the Henry family. Significantly damaged books were also removed for proper storage. By the end of Day 1 the library was empty and installation of the new lighting began. 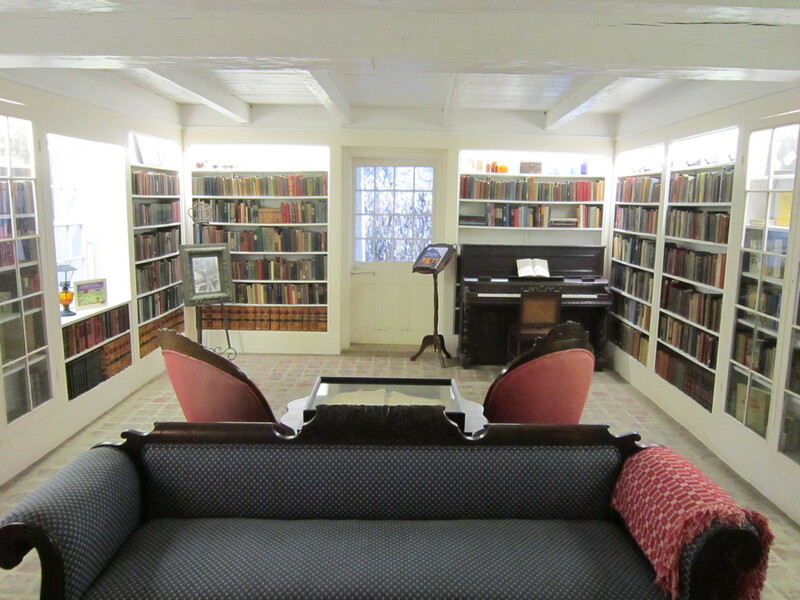 The site caretaker installed florescent fixtures inside the book cases to provide off-set room lighting and draw the visitor’s attention to the books on display. The top shelf in each section was trimmed down to allow more light to flow into the bookcase. Each shelf was then vacuumed, cleaned, and painted where necessary. Books were then vacuumed and carefully placed back on display. Additional collection items and furniture were moved back into the room. The final step was to install the necessary conservation tools to further protect the collection of books at Melrose. After 4 days of exhibit work, the library was reopend. The first group to see the work completed were students from Mansfield High School. Their teacher commented, “It didn’t look this good last year!” We are excited to be able to provide visitors with a new experience in the Library exhibit and hope to continue to meet and exceed our visitor’s expectations each day. This project is supported by a gift from The Rapides Foundation.